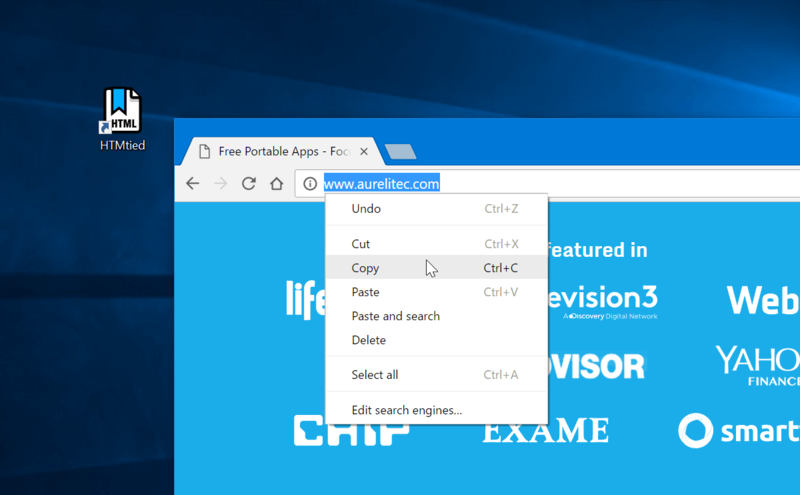 Step 1: Copy the Internet address from your browser's address bar or from any link to the Clipboard. Step 2: Run HTMtied (from the Desktop, Start Menu, or better yet, from a shortcut key you define). HTMtied will automatically convert that address to a linking HTML file and copy the file to the Clipboard. Step 3: Simply paste the file anywhere you want.